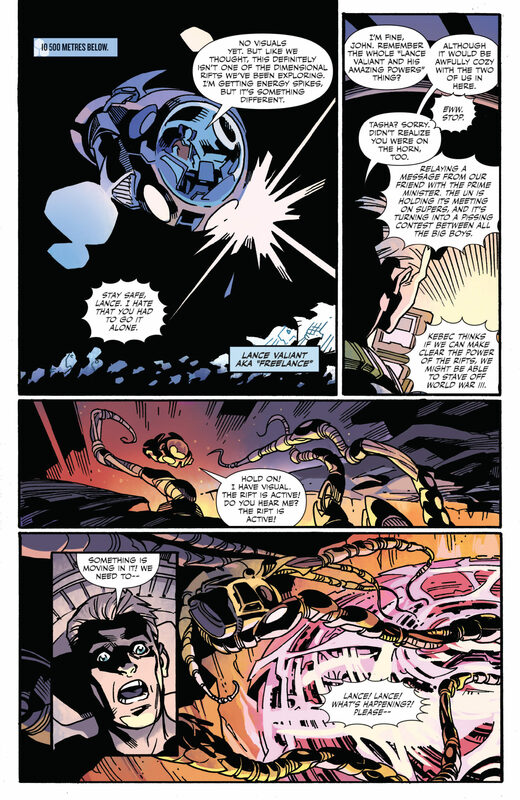 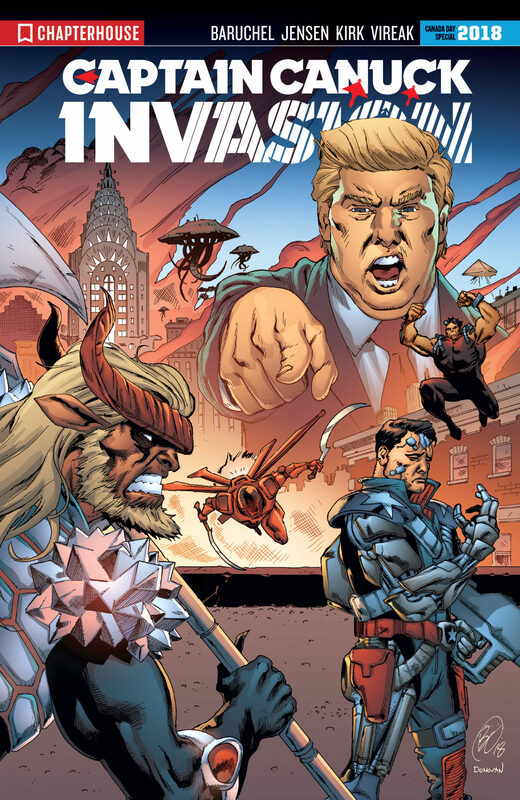 The biggest event in the history of Chapterhouse Comics is here with Invasion, an epic battle between Earth’s heroes and the otherworldly threat of the Borealis. 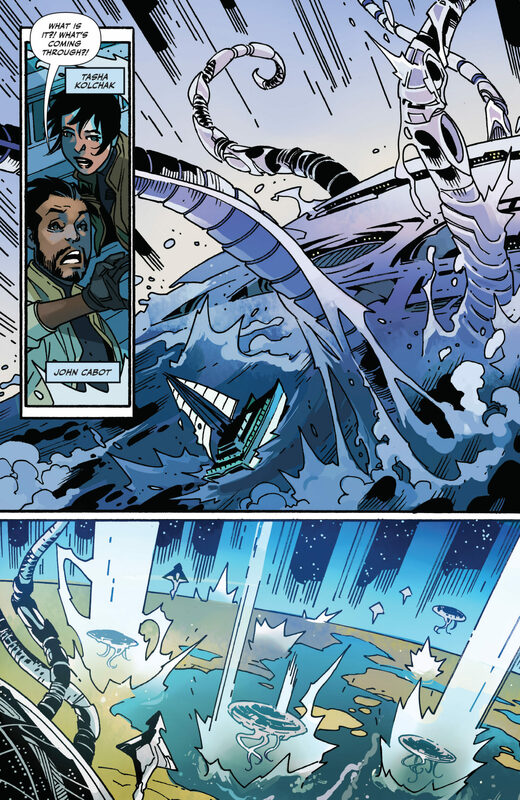 The Borealis has the power to destroy whole planets. 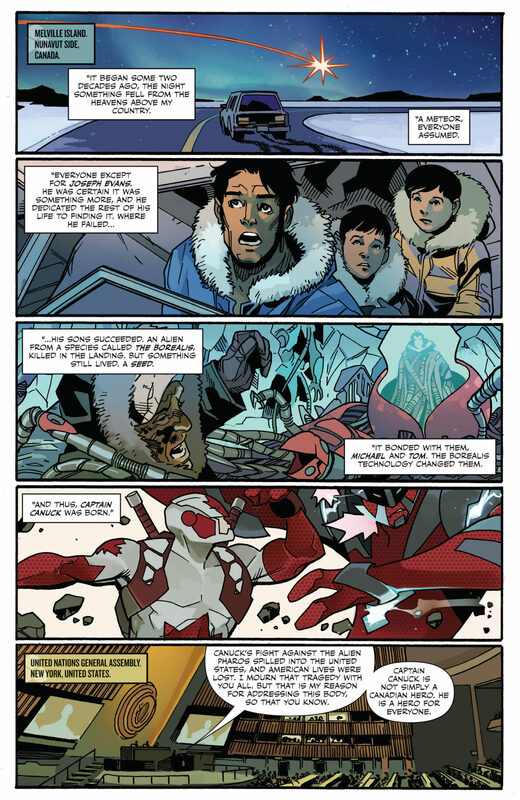 But the Borealis did not account for Captain Canuck, who stands to the last to defend his home, no matter the odds. 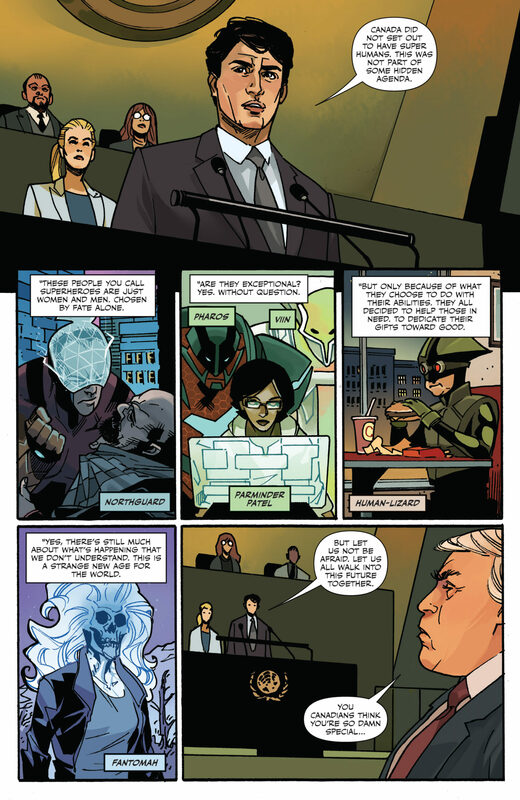 Canuck and his fellow heroes Kebec, Northguard, Freelance, Fantomah, Pharos, Human-Lizard, and the Agents of P.A.C.T are proof that all is never lost, and that the world, for all its flaws, is still worth saving. 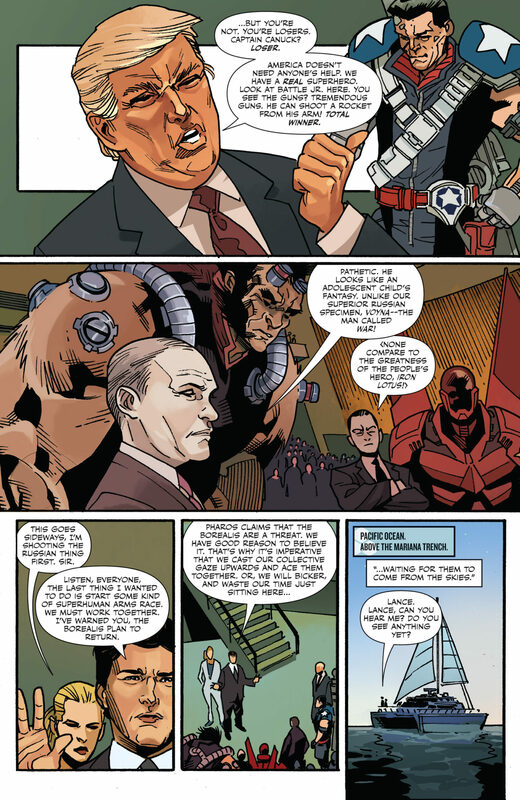 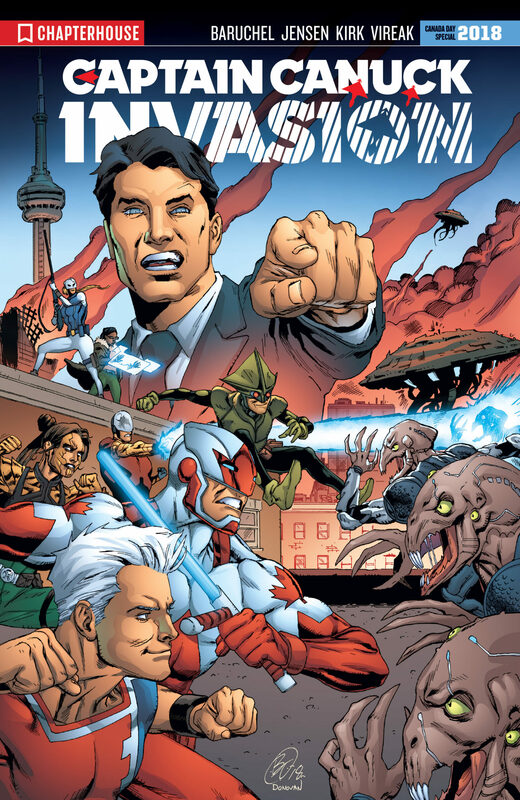 The Invasion prologue features the debut of the Captain Canuck Season Four writing team of Jay Baruchel and Van Jensen, with art by superstar artist Leonard Kirk, and available now with two special covers just for Canada Day.